Fan also took a selfie with Virat on the pitch. Cricketers have fans all across the globe, but few of them have devotees and there is nothing that can stop them from meeting their idol. We saw it many times with MS Dhoni, and this time it was India's heartbeat Virat Kohli. On Saturday, at Kotla, a fan ran towards Virat and lied down on his feet. It was his love for the Royal Challengers Bangalore (RCB) skipper, that didn't even care about the security personnel. However, soon he was escorted out of the venue before he could click a selfie with one of the greatest cricketers of this era. 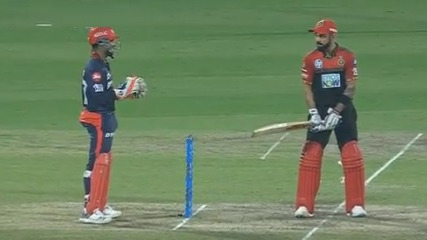 Kohli had a good game with the bat against Delhi Daredevils (DD). 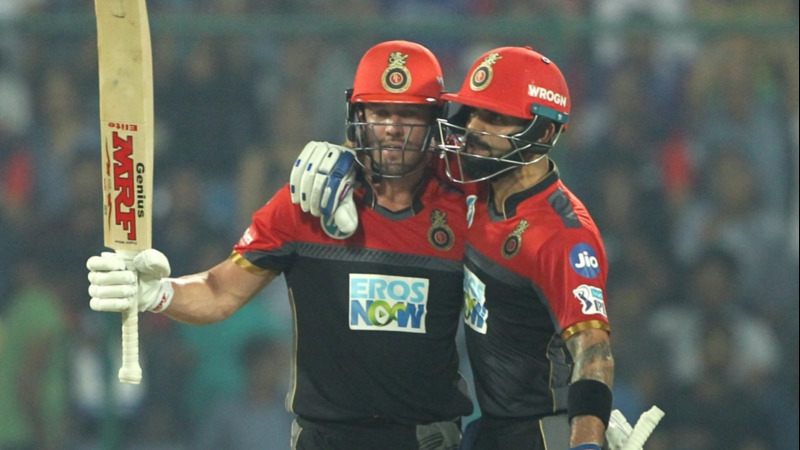 He smashed a brilliant 40-ball 70 to help AB de Villiers achieve the given target and bag two important points for his team. The ground was filled with RCB supporters. It was 'Kohli.. Kohli..' all over. Even AB de Villiers got a huge support. No wonder why India is called as his second home. He gets equal love here than his country South Africa.